So – what do you do? You are probably a lot more talented than you realize. The reason I say that is because most of the small business owners I speak to don’t even realize when they’re experts. They don’t realize that they have a talent. Most just think they are a baker, or a builder or a construction worker, or a landscape gardener, or a whatever; but if you have a skill, you have a talent. Are you using it to its best advantage? You may be a blogger, what work are you doing? So that’s what I mean. So, for example, in your day there are many things that you could be doing. Let’s say you are a carpenter, and you are out on construction sites all day long. You’re running a little business, you’re building it up, you’re trying to get new clients. When you get back at the end of the day, you have to find time for e-mails, perhaps do some data entry into some excel spread sheet or research competitors, new supplies, new suppliers, new methods and things like that. Perhaps you have to go to the bank, perhaps you have to get everything ready for your tools, you have to clean up and service your tools, all that kind of stuff. Now when you are doing those things, you have a job, those are things that anybody can do, and people without your talents can do for you. The reason this is important is because you need to spend more of your time doing the talented stuff because the skilled work gets paid. 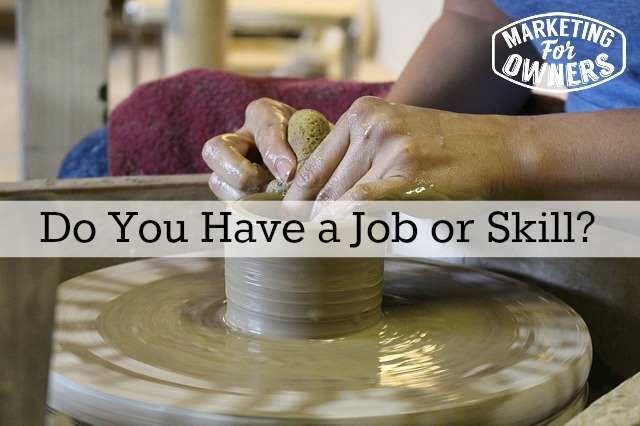 People pay you to do skilled work using your talent and your expertise. That’s the way it works. That’s business, pretty simple, business 101, maybe 102. But if you are still doing all the admin, then you have a job, and if you’re doing the heavy lifting that someone else, an assistant could do, then you have a job. An assistant has a job, you are the talent. So I want you to think about. I am going to say it over and over and over and over again, until you get it. If you are a blogger for example, your talent is in writing, creating fabulous content for your readers to read and enjoy themselves so they come back. Your talent is not in proofreading or editing or uploading or answering e-mails, dealing with suppliers, customers, or hostings are things like that these things are things that an assistant can do. Now, a lot of these don’t take you 5 minutes, do they? You’re saying it will take me 5 minutes, by the time have shown someone how to do it, I may as well have done it myself. Have you ever said that? We’re all guilty of that, that magical “It would only take me 5 min., I may as well do it myself.” However, in one year’s time and two years’ time when I would ask you the question again and you say, “It would only take me 5 minutes, I may as well do it myself”, just see what I mean, you’re still doing it. If it only takes you 5 minutes then it will only take 5 minutes to explain to somebody else how to do it and if it’s that easy, someone else can do it every single time for you. If it’s blogging, say you’re the blogger, for instance how you sort your e-mails, or how you upload or how you edit a post, simply record it, go to something like Jing, where you can record screen videos with voice. My 16 year old son learned how to do it and I didn’t even teach him because I don’t know how to use it myself. So use something like that record yourself doing it the way you would do it and why you’re doing it and then pass it onto someone. So if you want to show someone how you sort out your e-mails, talk through what you’re doing while you’re recording it. Can you see the power in this? And then you can get back to your good work, the work that makes the money. But of course if you’re just doing it to do it and you don’t really want to do that other work because sorting out e-mails, messing about on social media and doing all that other stuff that simple stuff is just your comfort blanket, then sorry, I can’t help you. But if you want to grow your business and to make your life easier, then this is how to do it. Anyway, to help you achieve these things, you can set goals and today in our drive time podcast recommendation, I’m going to recommend that you listen to Hal Elrod in his “Achieve Your Goals” podcasts, it is very good. I have recommended that book before and used it myself, and it changed the entire way I work in the mornings. It made me about three times more productive and effective. 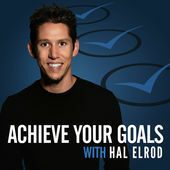 So anything that Hal Elrod does is good in my book, but his “Achieve Your Goals” one is excellent, he is an achiever, and who better to learn from? Go on iTunes, listen to it. By the way, on “The Miracle Morning”, if you want to get a free copy, go to my website at www.marketingforowners.com/freebook and you’ll see how to get a copy for free from Amazon, on me, delivered anywhere in the world. That’s it. I’ll see you tomorrow.